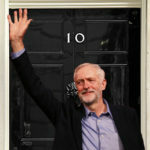 The story of the General Election for the past few weeks has been twofold: the formerly insurmountable image of “Team May” with the Iron Lady 2.0 gradually stumbling from blunder to blunder, while an insurgent Corbyn slowly becoming that ‘people-powered movement’ we have been building for the past two years. That story has been reflected in a series of opinion polls that show, wherever the starting point, whatever the methodology, the Tories lead has been squeezed. The unfortunate flip side and stark reality to that story, is that Labour began from an impossibly poor starting point, and that May, even in the most unfavourable of polls, apparently remains popular with a sufficient chunk of the British electorate (especially the chunk that tends to turn out and vote) to give her a sizeable lead going into tomorrow’s vote. Electoral Calculus, taking an average of the latest polls from 25 May 2017 to 06 Jun 2017, is predicting a Tory majority of 72, but with Labour losing just fifteen seats and finishing with 216. Labour’s average sits on 35%, with the Tories on almost 45%. What is obscured by polling averages is the disparity between Survation and YouGov, which show Labour just one and four points behind, respectively, and ICM and ComRes, which have Labour on 11 and 12 points behind. What is driving this? Quite simply, and as many of you will have read, is the weighting these polls attribute to the voting intentions of different groups. People are asked whether they are likely to vote in polls, but always overstate their likelihood of voting, so pollsters weigh it down. After the 2015 polling debacle, where pollsters consistently overstated Labour’s vote, they effectively penalised the responses of younger, and more working-class voters, because those groups are historically less likely to turn out on the day. YouGov and Survation, on the other hand, have done the opposite. YouGov’s estimates are based on an increased turnout in younger voters. On Saturday the leading US pollster Nate Silver tried to explain this divergence, and what it might mean for the results. There is much to encourage Labour members in his theories. The ‘shy Tory factor’ has been incorporated into much of the pollsters’ methodology after 2015, so it may not be the case in this election that the Conservatives outperform their polling numbers. In fact, the Conservatives are less likely to outperform their polls when they already have a lead going into the General Election, and in a number of cases (notably 1983) they underperformed from a commanding poll lead. Finally, Silver’s ‘First Rule of Polling Errors’ dictates that polls “almost always miss in the opposite direction of what pundits expect”, meaning an ‘average polling error’ in 2017 could be understating the Labour vote (except in the case of YouGov and Survation, who in this scenario would be on the money) and lead to an upset – in our favour. The result could quite possibly be a hung parliament. Contrasted with where we were in April, when May announced the election, Labour’s position has dramatically improved, and many of the seats that some had written off could still be ours on June 9th. The election campaign is something of a ‘one-off’, with the British public given a much greater, and clearer choice than ever before, which might drive up turnout. May has had a terrible campaign, in which her (uncontested) manifesto read as a series of digs at her own core vote. Meanwhile Corbyn has outperformed all expectations. Even those of us who have stuck by and believed in him from day one, almost exactly two summers ago, have been impressed by just how well he has performed in media appearances, TV debates, and countless rallies attended by tens of thousands of people. His backroom team have done a brilliant job, and Labour’s populist messaging has been almost faultless. Labour’s manifesto, too, is a truly transformative document that we can build on for the future – and no-one, absolutely no-one, will be able to tell us this weekend that our policies are out-of-touch or unpopular. That the polls began to turn sharply in our favour after its release is a credit to the team who wrote it. After tomorrow’s results, there will be much talk and analysis (including from Left Futures) of where our party should go next. But one thing has already been demonstrated throughout the successes of this campaign: Labour members were right in 2015 and 2016, when faced with a choice of turning to the past with the same old, stilted Third Way formulas, or instead turning to face the future, being bold and confident in explaining our vision for Britain, and putting forward as our Leader the only candidate who was willing and capable of doing so. After tomorrow, no one will be wanting to go back. OK this election is one thing and of course May has to be stopped but the reality is that the situation is far more fundamental and historic than anybody in this election is anywhere near to understanding or wanting to understand. Politics has started but is nowhere near catching up with the new reality that the financial collapse of 2008 ushered in. In short capitalism is dead and rapidly decaying. It is super-monopolised, stagnant and bankrupt. The neo-liberal consensus is over, the world order characterised by Pax Americana is crumbling, globalization is unravelling. No mode of production leaves the stage of history until it has completely exhausted all of its potential and we have now reached that point. Growth, essential to capitalism, is now a distant memory, free markets and competition a forgotten myth, social mobility a sick joke. Eight individuals control more wealth than 3.6 billion of the world’s poorest. The gap between rich and poor is an unbridgeable chasm and there are no alternative political-economic arrangements that could replace the current ones and give capitalism a new lease of life. Without a functioning and reproducible economic system all that is available to the global elites is the purest violence. It is a case now of socialism or barbarism, socialism or a New Dark Ages that our species is unlikely to escape with its life, socialism or death. Only world proletarian revolution can replace and transcend crumbling capitalist globalization via a global federation of sovereign socialist states collaborating to launch human kind on the next leg of its historic journey. * For a regime of full-employment whereby every school and college leaver and unemployed worker who cannot find their own job are bought into the local workforce to share in the available productive work with each paid the minimum of a trades union living wage. We must end capitalism’s right to retain a reserve army of unemployed labour to be used against organised labour and we must move as quickly as possible to reduce dramatically the length of the working week without loss of pay and finance by the incredible productivity gains of the post-War period and the digital and technological revolution currently under way which threatens mass unemployment and under-employment. * An end to the bail out of the bankrupt banks which is driving austerity and the unprecedented trickling up of wealth to an ever rich and ever smaller super rich elite. We must take the deposits, staff and estates of these bank into administration and use them to create a People’s Bank with a monopoly of credit to prevent the privateers from ever ripping us off again with their counterfeit money and ponzi scams. This bank will lend to small business at base rate and facilitate social investment in accordance with a democratic and environmentally sustainable plan. * The socialisation of the mega-profits and property of the corporations and the super rich. These monopolists threaten to snuff out production altogether and are organising global and national civil wars to prop up their rule but in public hands their enormous profits could finance debt repayment and world class pubic services from health to education to welfare and local authority. * For a Federation of Sovereign Socialist Nations to replace the Westminster Union including sovereign democratic ruling bodies in Scotland, England, Wales and Northern Ireland. * For a New European Settlement to replace the wretched and doomed neo-liberal EU. A settlement that puts the interests of workers ahead of those of the capitalists mainly by not treating them like migrating cattle chasing each others’ tails across the continent in search of ever crappier wages and ever more meagre welfare or by leaving them behind in sink communities, sink estates and sink schools unable to compete for even the lowliest of local jobs. This settlement will replace co-operation for the ruinous competition that characterises the relations in the `Union’. It will end Europe’s imperialist relationship with Africa and the Middle East that is at the heart of the current project and replace it with co-development. It will end the EU’s war on socialism and the European working class that it was founded to fight. It will be no more than a step on the road to a world federation of socialist states. These are the bones of our programme but it contains the backbone and the basic principles. More importantly it takes seriously the true depth and nature of the historic period of history that we find ourselves in. It pulls no punches and tells no lies. It is neither opportunistic nor sectarian. It is revolutionary and it is something behind which the working class can unite and through which it can offer the whole of society a way out of its dangerous impasse. Truly we live in a historic period of history. This is really useful. How do you find it’s going down with swing voters on the doorstep? I don’t yet know what this means in terms of results, but two things have struck me this week as regards Labour support. First, I have seen far more Labour posters in windows in my own part of town than I have for a great many years. This is more surprising as canvassing has been minimal/non-existent given I live in one of the safest Labour seats in the country and so activists have been out in neighboring marginals for weeks so the normal routes of giving out posters haven’t been here due to the door knocking being elsewhere. It’s a puzzle, but very inspiring. Next, my main online activity relates to football. Again, the forums for my own team have been heavily and overwhelmingly Labour, potentially important given my team’s home town is, unlike my current constituency, a very close marginal that we only just won ion 2015. While out canvassing today, I was told that some of the leaflets mailed to people were designed so they could be used as window posters. That may explain how the people in your area got them. The mood in my social circles seems fairly pro-Labour and certainly quite anti-Tory, but that’s not surprising given that all of my UK friends are grad-students. I’m in Oxford which is a bit of an odd spot because Oxford East is fairly safe Labour (although our old MP retired this year, so that adds some uncertainty) while Oxford West is a Tory/Lib-Dem marginal. So you get quite a lot of people voting tactically in Oxford West and probably more support for the Lib-Dems than you would see otherwise. As the results come in it looks like Corbyn has been vindicated. Congratulations to all those who have worked so hard for him. Morning Comrades, and what a lovely morning it is! This is a great night for @jeremycorbyn, @UKLabour, young people and Britain. (Simple Simon loses his deposit). Oh, and Richard MacKinnon, are you here you silly sausage? I just wondered what time you are going to tell me that “I told you so”? Dont talk to me about lacking intelligence. There is no intelligence left in Labour. Your party is in the hands of comics. Your party is just about to implode. The result in June is going to be so cataclysmic there will be no way back. James, understand this, I will never be embarassed by what I believe. Why should I be? I am only telling it as it is. As someone once said, you dont a weather man to know which way the wind blows. And let me assure you, I am not going anywhere. I will be here on Leftfutures on 9 June to say ‘I told you so’. James, No matter how many times MacKinnon is humiliated and shown to be a fool and political, economic and historical, ignoramus, he always eventually pops up again with more Daily Mail dross. A Troll who is the Japanese knotweed of Left Futures. What is to be gained by providing a platform for the small claque of Tory Trolls who currently infest Left Futures quite escapes me.